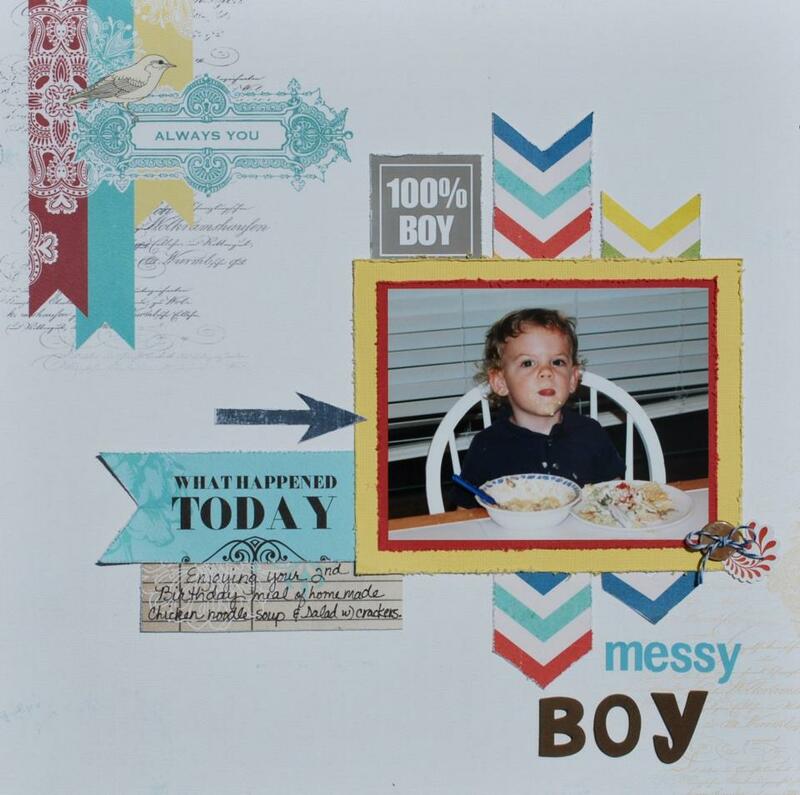 Many of you know that one of our birthday bash challenges was for a chance to be our July Layout Guest Designer. Thanks to all who participated! Our readers are picking our winner, so please vote for your FAVORITE artist below! One vote per person please. Our winner will be announced on June 3rd, poll closes at 10 pm CST on June 2nd, so don't delay vote today! 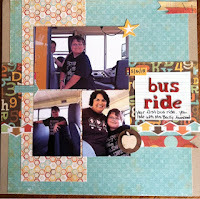 Come along and check out the challenge on her blog, Kraze of MJ. You will surely be inspired to grab your twine and go to work! Thanks so much for stopping by and don't forget our very last day of Birthday Bash challenges tomorrow when Lisa brings us a real twist on one of her fun sketches!!! Don't forget that all of our Birthday Bash challenges are on the right side of our blog and many of them have different due dates. Please be sure to check each challenge for the specific rules and end dates! 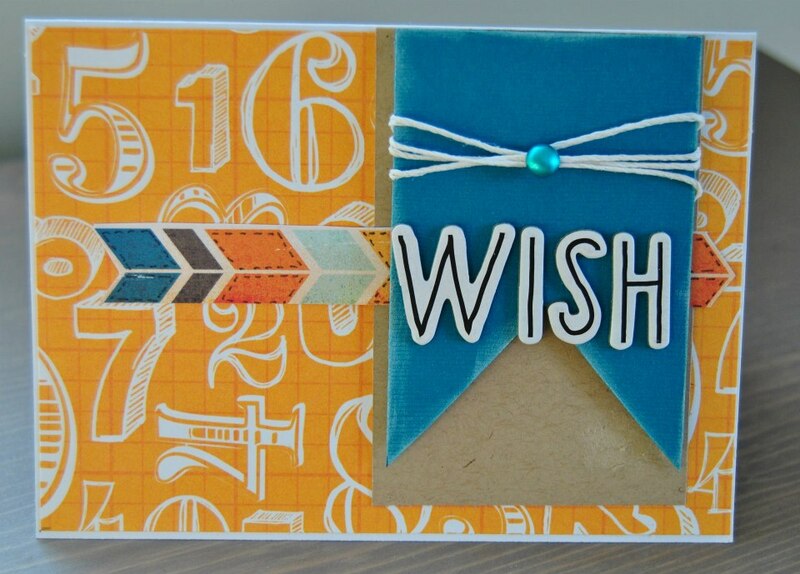 Thanks so much for playing along in our Birthday Bash this month and have a great day! I have kits I have bought in the past and ones I have made out of my stash hung on pants hangers to allow me easy access to supplies and keep them from getting crushed in bins. My stamps and other supplies store UNDER the kits so there is really little wasted space. My mini albums are neatly stored in a basket in my entryway so that guests can easily flip through the books & enjoy them while visiting. My niece & nephews love to look at them when they stop by! Large glass jars make great storage for foam stamps and chipboard pieces, freeing them up so you can easily view and locate them when needed. I found when my chipboard was not punched out and hidden in a drawer I would not use it as it was out of sight and out of mind! Add a lazy Susan under your cropping bag, this allows you to easily spin it around and access supplies from all sides! These can be purchased at any store for a reasonable price. I got mine for under $3. It is not only great when you are away at a crop but also when cropping at home! I keep all my most used tools and adhesives etc in my crop bag, just in case I get invited to a crop at the last minute, no need to spend extra time packing and then forgetting basic supplies! I hope these little tips will inspire you to organize your supplies to allow you more time to scrap! 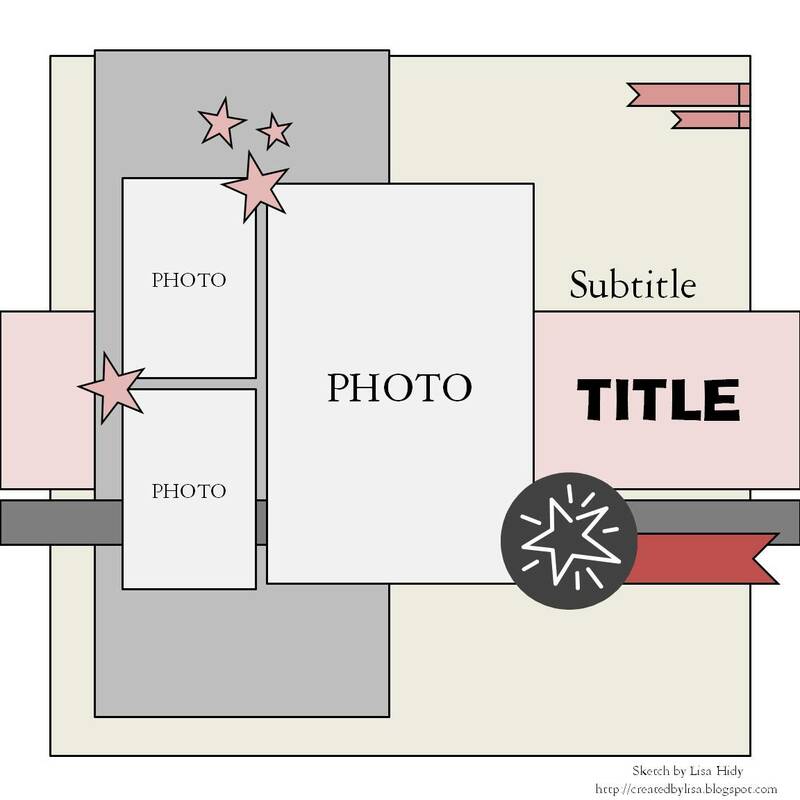 For more GREAT ideas on organizing your scrapbook supplies visit our Pinterest board on getting organized! You can find it HERE . 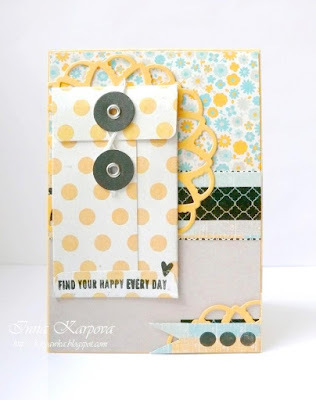 We would love to hear your tips on how you organize your scrappy stuff as well! For today's challenge we are entering all participants who share their favorite organization tip in the comment section into the drawing for our 30 spools of American Crafts ribbon!!!! If you are already a follower then leave that in the comments to let us know. 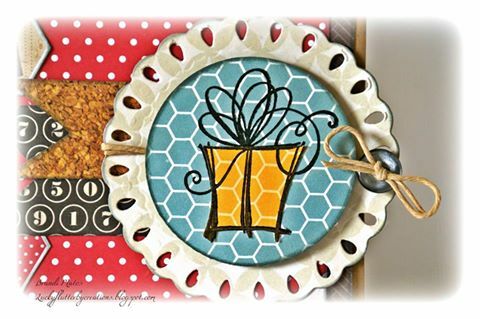 4) We will draw a winner for the American Crafts 30 spools of ribbon from all entries into this challenge and our Birthday Bash Blog Treasure Hunt challenge. 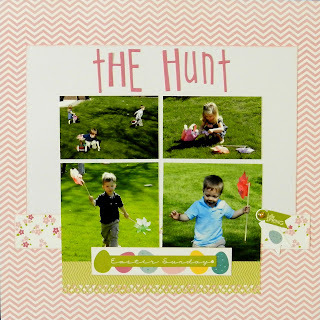 You have until May 31st at midnight CST to play along with the Treasure Hunt challenge for more ways to win!!! Have fun and come back tomorrow to see what Designer Mandi has up her sleeve with her fun and creative twine challenge! 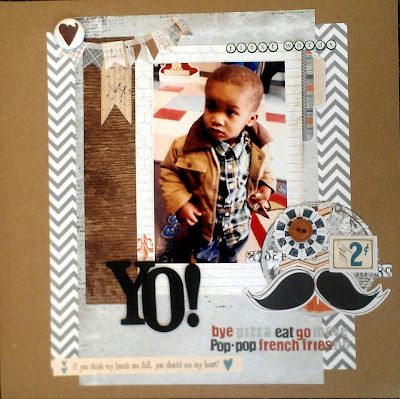 What a beautiful two page layout challenge by designer Lynette yesterday! 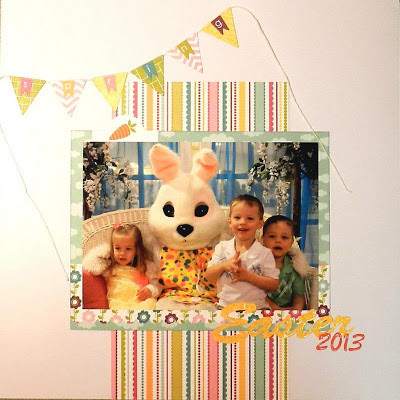 If you missed out on her fun challenge, click HERE. Today we are bringing you a superb challenge by Design Team member Inna! I don't know about you, but I find myself always needing to organize or reorganize! 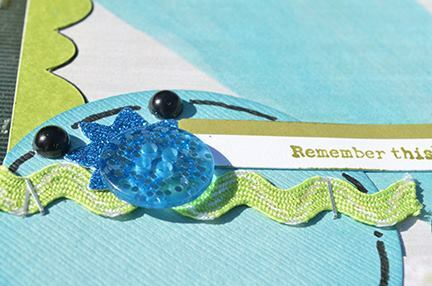 Be sure to stop back by tomorrow when Lisa has a creative challenge to help us all get organized! Thanks for stopping by and have a fabulous Tuesday! Even though May is winding down there is still plenty of time to play along with us! Many challenges end on May 31st, but some that were posted recently end in June. 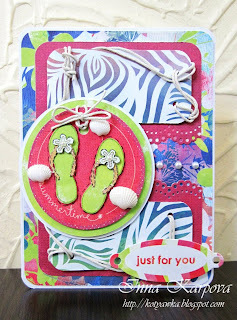 Stop back tomorrow for a fun challenge by DT member Inna! We hope everyone has a wonderful Memorial Day! Thank you to all who have served or are serving this great nation in our Armed Forces! Be sure to stop back by tomorrow for another awesome challenge by our Design Team member Lynette! Also, please note that several of the games and challenges we have posted during our birthday month may continue on into the month of June. 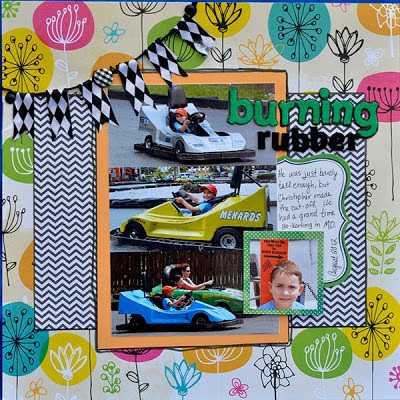 Check each Design Team members rules for their challenges posted on their blogs and our regular May layout sketches and May card sketches will be due by May 31st. 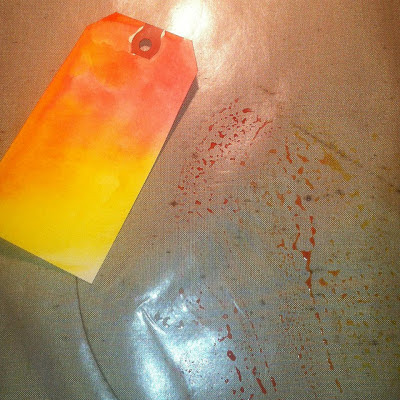 Ink and Stains challenge with Senior Designer Heather! There is still plenty of fun left in the month, join us tomorrow for another fun challenge by co-owner Kelly who is challenging us to reduce our button stash! Remember you can find all our challenges for the month in our sidebar, we hope you will find some time to join in the fun! 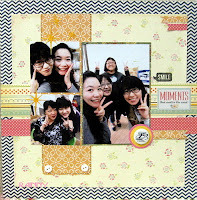 Wasn't that a super cool sequel to Lisa's kit challenge posted at the beginning of the month? 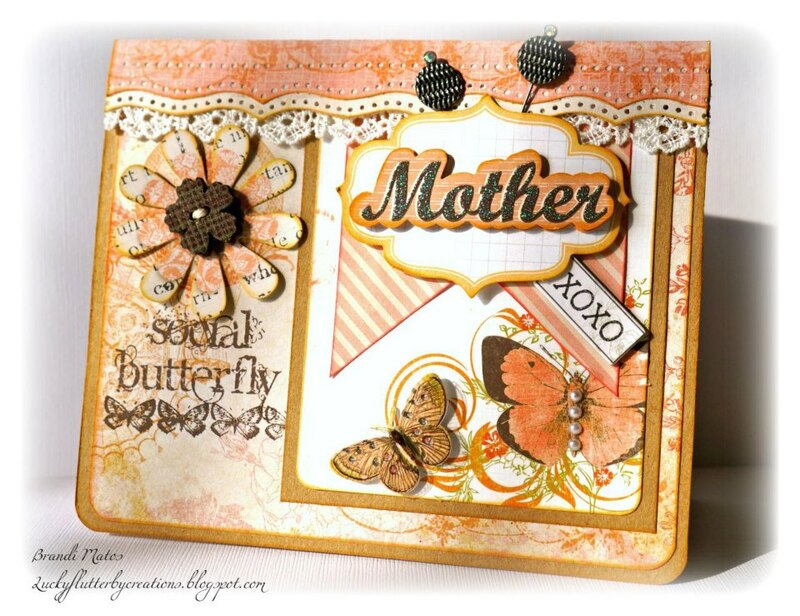 If you missed out, click the link HERE to see her Use Your Kit Challenge! 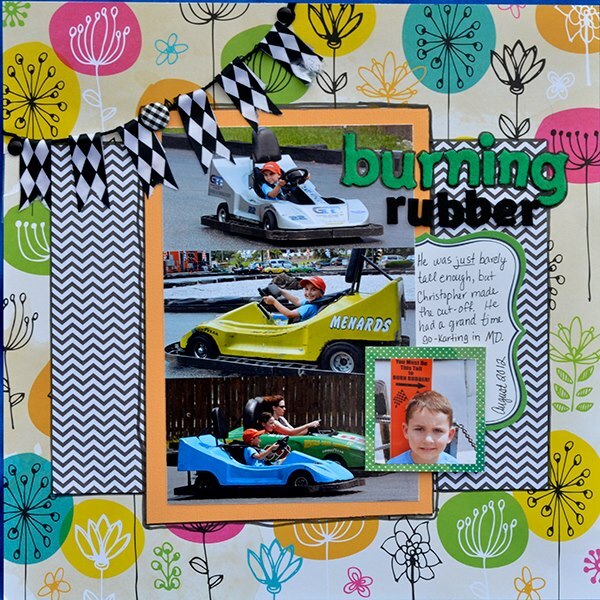 Yesterday's Sequel Challenge is an awesome way to use up that fun kit and win a chance at Lisa's fun PRIZE! 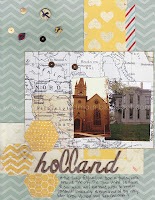 And now for today's brand new Photo Inspiration Challenge brought to us by Design Team member Hillary! 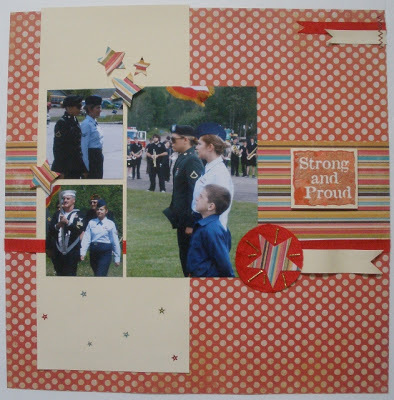 This is just one part to a super fun Photo Inspiration challenge. 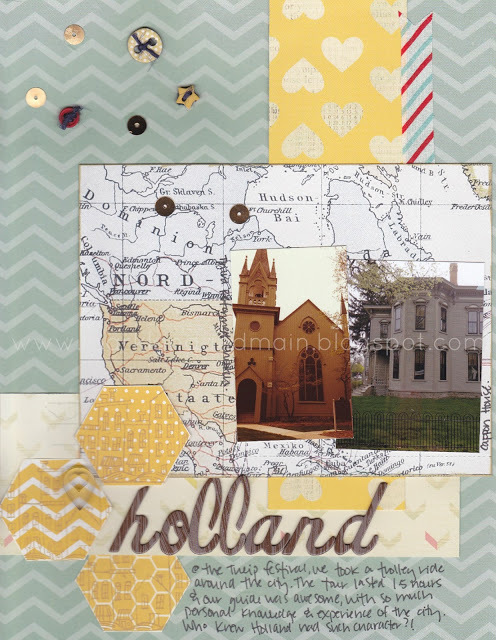 Join us for a fun photo inspiration challenge tomorrow from DT member Hillary! Don't forget about our Guest Designer challenges, you can learn more about them HERE and HERE. We hope you will find time to play along! Another super fun day here at Sketch-N-Scrap while we celebrate our First ever Birthday with daily challenges, prizes and games! 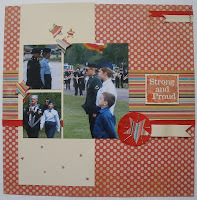 Yesterday we had an awesome technique challenge by our Design Team member Brandi. If you missed it, click on this LINK to check it out. Today Senior Design Team member Tamika brings us a "Name That Manufacturer" game that offers a fantastic PRIZE of My Minds Eye Miss Caroline! WOW!!! 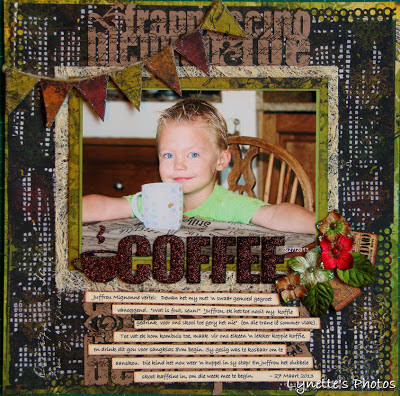 Another exciting day here at Sketch-N-Scrap during our Birthday Bash month! Head over to Tamika's blog Making Today Better Than Yesterday and play along in her fun game to win a chance at this awesome PRIZE! Stay tuned everyday for more challenges, prizes and inspiration as we celebrate our first birthday ALL month long in May!!!! In case you are just finding us, you still have plenty of time to play along, the challenges are not due until May 31st at midnight CST, you can find a master list in our sidebar! We hope you find time to join us at least once this month! Stop by tomorrow for another awesome challenge brought to you by our Senior Design Team member Tamika! Check out these GORGEOUS reveals from our talented Design Team!!! 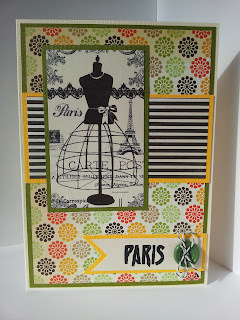 I know you will agree that we have had some awesome Guest Designers here at Sketch N Scrap! Since we have branched out from only layout sketches and added card sketches, it is only fitting we add CARD guest designers! 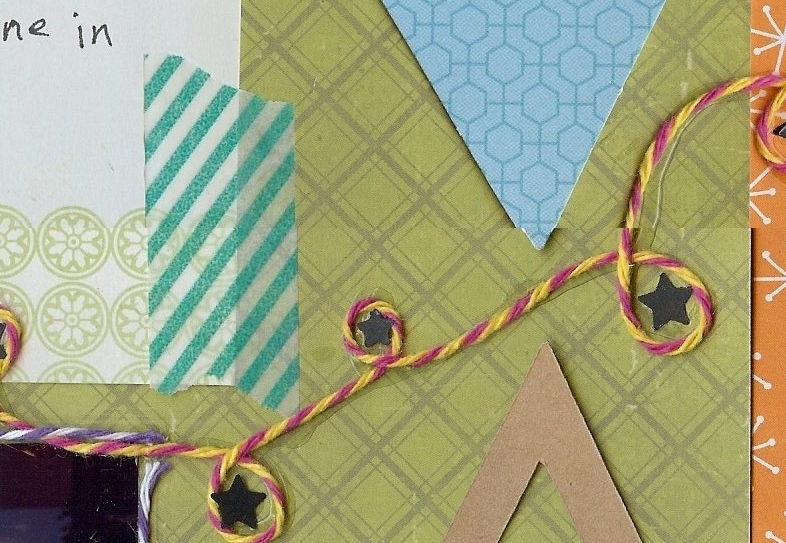 Would you like a chance to be either our July, August or September Card Guest Designer? We will be picking our top three card creators to be one of our upcoming Guest Card Designers. To win a spot on our Guest Design Team create a birthday card in honor of our first birthday! 2) Cards MUST BE NEW as of May 19th and cannot be combined with any other SNS challenges. 3) Please note if chosen you will be committing to creating 2 cards based on our monthly sketches. 4) Winners will be announced on June 2nd. Have fun and GOOD LUCK! We can't wait to see your gorgeous birthday cards! Please email us at sketchnscrap@gmail.com if you have any questions! 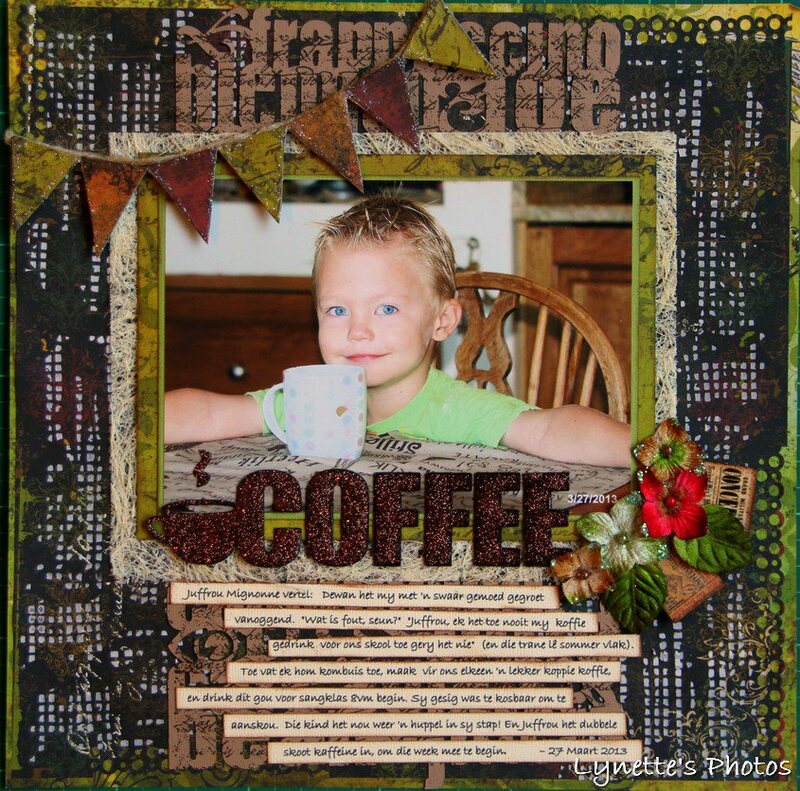 Today we have another great Recipe Challenge for you from Design Team member Monica. Her challenge is posted over on her blog, Document Moore Memories. 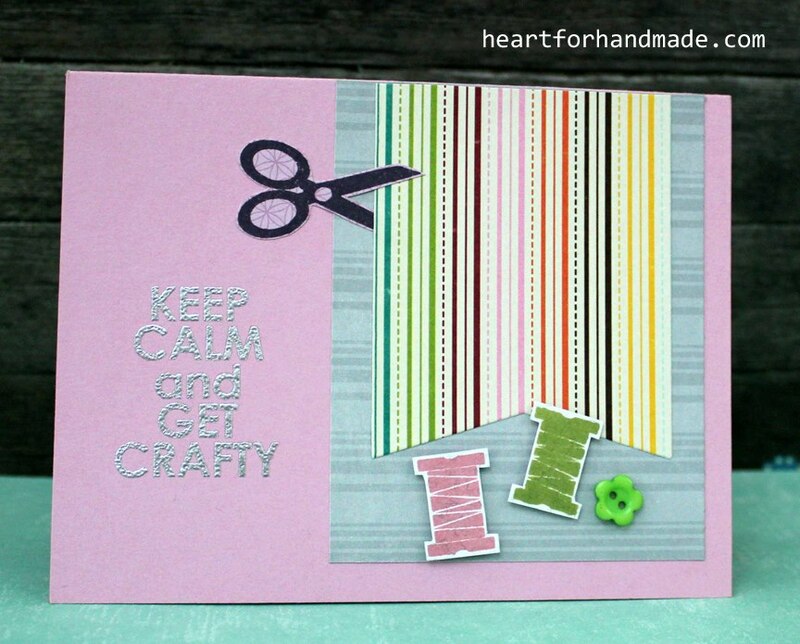 Join us tomorrow for a another fun challenge brought to us by our DT member Monica! We hope you enjoyed yesterday's sketch challenge, if you missed it you can find it HERE. Today we continue with our Birthday Bash challenges. 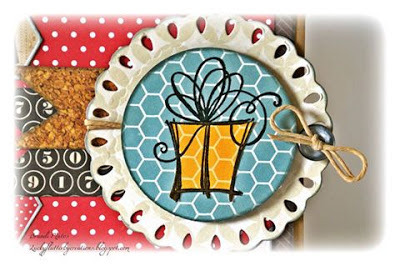 How would you like to win a chance to be our July Guest Designer? 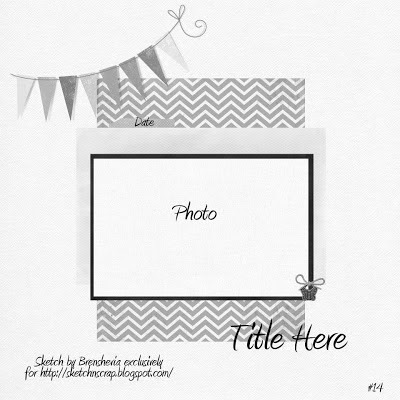 We LOVE all the talent our creative readers share with us on a monthly basis & we would like to give everyone a chance at sharing their talent as July's layout Guest Designer! This was our very FIRST SKETCH over a year ago! 3) Layout MUST BE NEW as of May 17th and cannot be combined with any other SNS challenges. 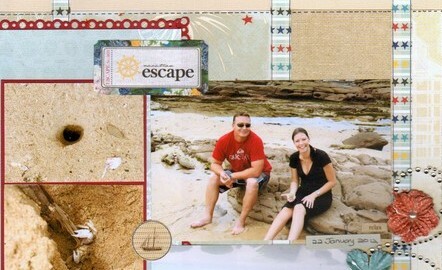 4) Please note if chosen you will be committing to creating 2 layouts based on our July sketches. 6) Winner will be chosen by a poll here on the blog starting on May 31st. Have fun and GOOD LUCK! We can't wait to see your inspiring layouts created using our VERY FIRST sketch! It's an oldie but a goodie don't ya think?!!!! 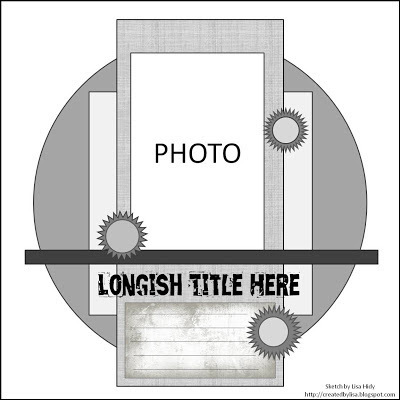 Today we return to our "regular" programming to bring you our second layout sketch of the month. This sketch is brought to you by Brenshevia and features a fun trendy banner! We hope you are enjoying our Birthday Bash! 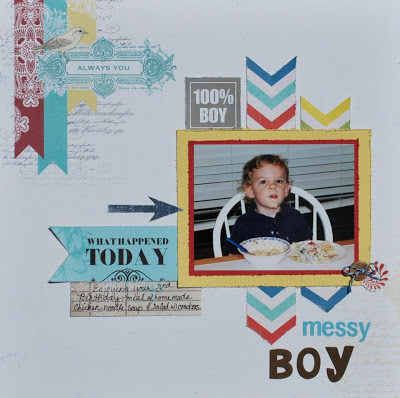 We are featuring fun challenges each day for the rest of the month for lots of opportunities to win prizes, get some layouts created and inspire you to step outside of your comfort zone! 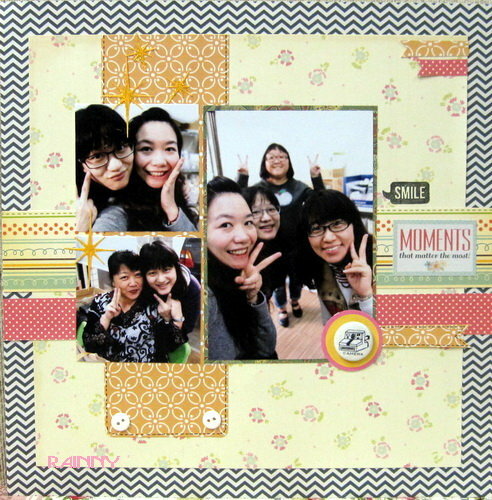 So have fun and take this opportunity to create another awesome page for your memory book! Don't miss your chance to be entered to win a $25 gift certificate to The ScrapRoom! 1. Which one of our Designers ends her posts with a LUCKY day? 2. Which Designer created this layout? 3. Which Designer likes to scrap 24/7? 4. Which one of our Designers live in Africa? 5. Which one of our Designers has recently acquired an orange kitty? 6. Which Designer created this card? 7. 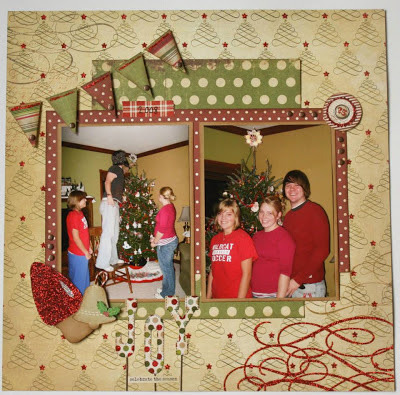 Which designer helped start up Sketch-N-Scrap? 8. Which Sketch Designer is the mother of 2 and grandmother of 3? 9. Which one of our Designers is Making Today Better Than Yesterday? 10. Which one of our designers created this layout? 11. Which one of our Designers lives in Vancouver, Canada? 12. Which one of our Designers posts on a Kraze blog? 13. 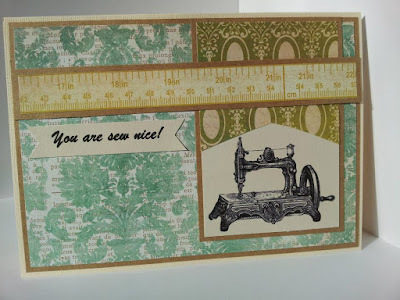 Which Designer created this card? 14. Which one of our Designers currently resides in Doha, Qatar? 15. Which one of our Designers has recently started her own photography business? 30 spools of American Crafts Ribbon!!! So HURRY!!! You have until midnight, May 31st, CST to get your answers in for the chance to win!! !